There are so many kitchen tools and appliances to review these days that we can't really manage to do so. That is why we decided to pick some of the popular ones out there and present them to you in our consumer manner. 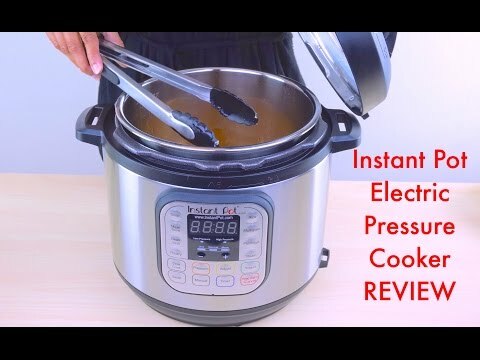 Today we are taking a look at the Instant Pot IP-DUO60 7-in-1 Programmable Pressure Cooker which is a real hit in Amazon where its sales are beating even some popular Tefal tools from the same category. 7-in-1 Multi-Functional Cooke r- Pressure Cooker, Slow Cooker, Rice Cooker, Saute/Browning, Yogurt Maker, Steamer & Warmer. Includes 3-ply bottom stainless steel cooking pot, stainless steel steam rack with handle, rice paddle, soup spoon, and measuring cup. Instructions, recipes, and cooking time tables in English, Spanish, Chinese and French. The Instant Pot IP-DUO60 has been on the market for couple of years now and there are many consumer opinions about its performance. What we can conclude that it is a device worth taking a look at especially if you find it on a good deal. Currently offered in Amazon and other online stores for under $70.